Powers/Abilities: Incredible intellect combined with excellent physical attributes. 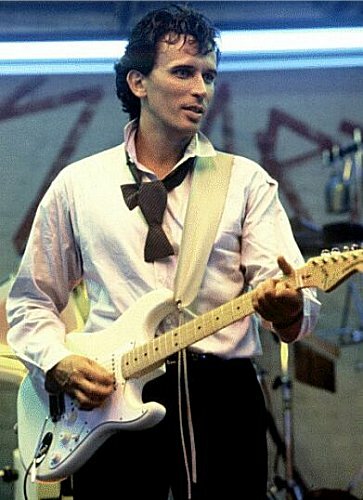 History: Buckaroo Banzai - musician and rock star, scientist and genius, adventurer and leader of the Hong Kong Cavaliers. He is all these and more. A unique sort of man requires a unique sort of origin. Both of Buckaroo's parents were prominent scientists. His father was Masado Banzai, a Japanese scientist who specialised in theoretical quantum mechanics, his mother was Sandra Willoughby, an expert in the field of negative mass propulsion and daughter of noted mathematician Edward McKay Willoughby. When World War II had broken out, the couple fled their home in Japan and settled in Texas. Buckaroo, his name picked because of Masado's love of the American West, was born in 1950 during a visit to London, and grew up in Colorado and Arizona. Since 1946 Buckaroo's parents had been working on a project to allow people to pass through solid matter with Masado's longtime friend Professor Toichi Hikita. In 1953, when Buckaroo was still a toddler, his parents were tragically killed before his eyes, in an explosion during a test of a new jet car fitted with their experimental Oscillation Overthruster. His parents gone, Buckaroo was raised by Hikita. "Buckaroo, like most true geniuses, was utterly without arrogance, a simple man in the best sense of the word. Decency towards others was not something he had to work at; it was as involuntary with him as breathing. On the other hand, I have seen him an hour after killing a man and found him to be perfectly composed." - from the novel. Buckaroo became an adventurer, along with all his other professions, as he and his friends were unable to stand by when evil happened around them. He soon gained an ongoing nemesis in the form of the evil Hanoi Xan. Buckaroo also fell in love, and proposed to Peggy Simpson on the bank of the Thames River while at Merton College, Oxford. They planned to marry in New York in the autumn, but on their wedding day, Hanoi Xan's agents murdered her, devastating Buckaroo. Years later Buckaroo decided to retry the experiment that had ended his parents' lifes. Unwittingly his success set in motion an attempt by evil alien Lectroids, long exiled to Earth, to steal his Overthruster and use it to return home. Rather than allow this to happen, the ruling Lectroids sent a cruiser to Earth, to destroy the planet before the exiles could escape. Buckaroo and the Hong Kong Cavaliers were the only thing standing between Earth and its total destruction. Although they succeeded, the battle was not without it's price, with one of the Cavaliers losing his life during the conflict. Little has been heard about Buckaroo and his men since, but it can be presumed that they are still out there, fighting the good fight. Comments: Created by Earl Mac Rauch. 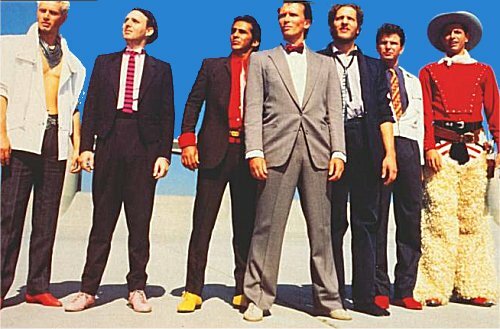 Banzai was played in the movie by Peter Weller. As well as a novelisation of the film, Moonstone Publishing recently revived Buckaroo for a series of comic book adventures.